Cloud solutions are penetrating all spheres of business activity more often now. So, absolutely new models of network infrastructure organization are coming with them. Three variants of cloud system structure such as PaaS, SaaS and IaaS are widely spread now We are going to talk about the last one in this article. •	when the new business direction is starting and you have to test it without making immense investments in the resources. IaaS can be organized on the basis of public or private cloud and also by means of combining both of them - so called “hybrid cloud”, created with the help of appropriate software. In recent years one can observe not only an explosive growth of cloud technologies in general but an IaaS model in particular. Based on statistics data provided by Gartner Company, the general growth of cloud calculation formed nearly 17% in 2016 and for IaaS it formed 38%. It is expected to be the same and by 2019 year the spreading of IaaS will grow twice. The reason of such phenomenon is that small and medium business is going on cloud and IaaS is the most convenient and clear variant. The main advantages of the technology are own equipment settings, an ability to use any software, wide range of supported devices, operating systems and scaling. This is the key to success on the market. According to surveys, most clients based on importance for network infrastructure organization put on the first place two factors – the shortening of operating expenses on equipment supporting and scaling convenience. IaaS can provide it that is why more and more people switch to this model. The ability of payment upon using resources is one more advantage which leads companies to selecting outsourcing infrastructures. Companies that only planning to move to cloud technologies are often think what service to choose: IaaS, PaaS or SaaS. Each of these variants has its own advantages, but in many cases Infrastructure as a Service turns out to be more convenient. If to compare with SaaS the client gets ready system on all installed software and surroundings. Installed software on the side of provider can be unknown to the stuff of the company, which can require additional training, additional time and money expenses. Besides, you don’t have an opportunity to make adjustments into software and you have to use that without any adaptation. Among additional disadvantages is restricted access to data bases. PaaS model has very narrow purpose – it offers abilities only for making and testing of programming code. The platform can solve not a big amount of problems what makes it uninteresting and niche for ordinary clients. For today PaaS model has got the least proliferation. Unlike two other models IaaS does not have all these drawbacks. The clients can install any software they need, modify it according to their needs at any time, solve any problems starting with site launching and ending with organization of remote working places for the stuff. There aren’t any restrictions as for data storage organization, data base creation and selection of operating systems. Moreover, you can change the configuration of computing resources instantly without work stopping. That is why IaaS attracts more and more companies. • possibility to solve any problems: web site hosting, corporate portal, practical software for meeting all the challenges. 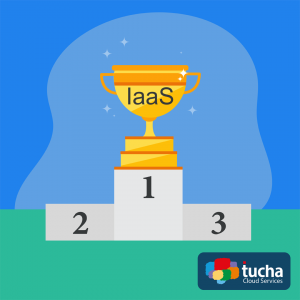 Considering financial benefits and absence of expenses on additional stuff training we can recommend IaaS as the best model for business. Contact us for competent consultation on issues relating hosting and renting of cloud infrastructure.